Hats off to Mrs. Zele! 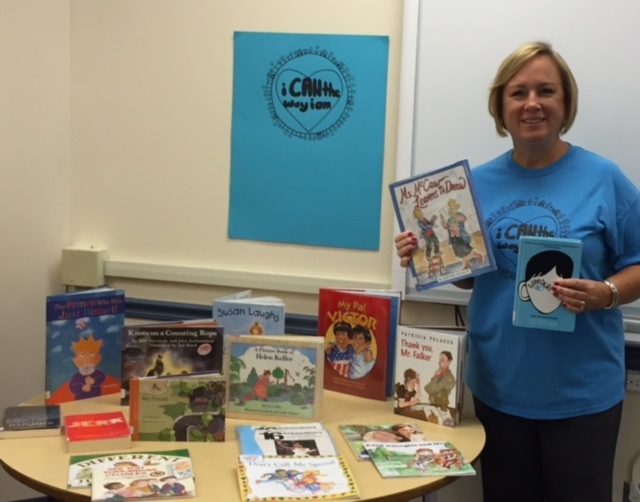 She is the keeper of the I CAN the Way I am collection of picture books and chapter books that correlate to key objectives embedded in the I CAN curriculum. Students and teachers can check out these books to prepare for classroom simulations and speakers. These books are also a great way to reflect on what students have learned during the grade-level programming. 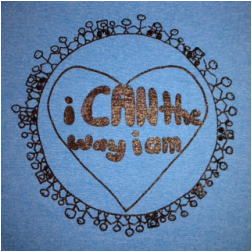 Grace Perry, a 2014 St. Mary's graduate created this t-shirt design during a reflection in Mrs. Clinton's art class. Check out this video about one man's music project inspired by some amazing kids. Click on the following link for a story (with video) about how musical talent goes beyond any diagnosis and one band's example of this. St. Mary's students can partner up with the local group, Special Sports Inc. to help children and teens with special needs participate in sports. Click the image below to learn more. The following is a demo video of someone using e-speaking voice recognition software to operate a pc.